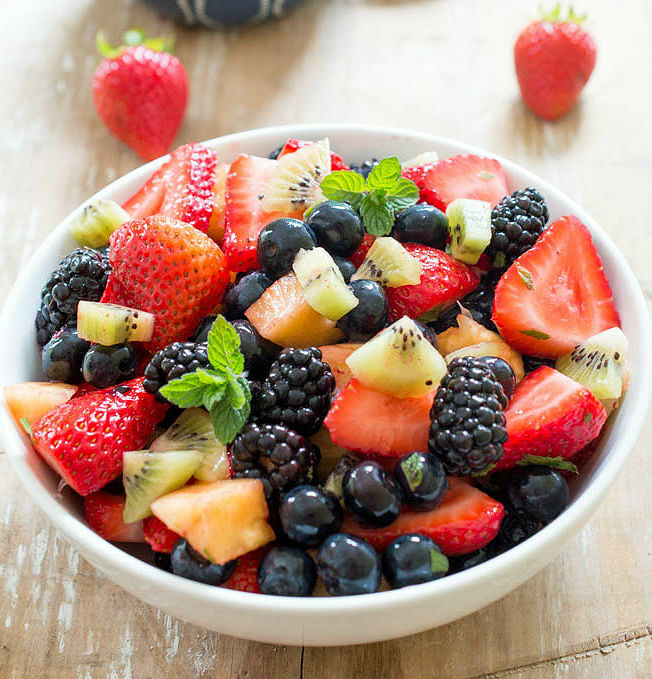 This refreshing Summer Fruit Salad with Lime, Mint and Honey is an easy and healthy side dish. Perfect for any Summer gathering. Add all of the ingredients together in large bowl. Toss to combine. Refrigerate for at least an hour to let the flavors develop.